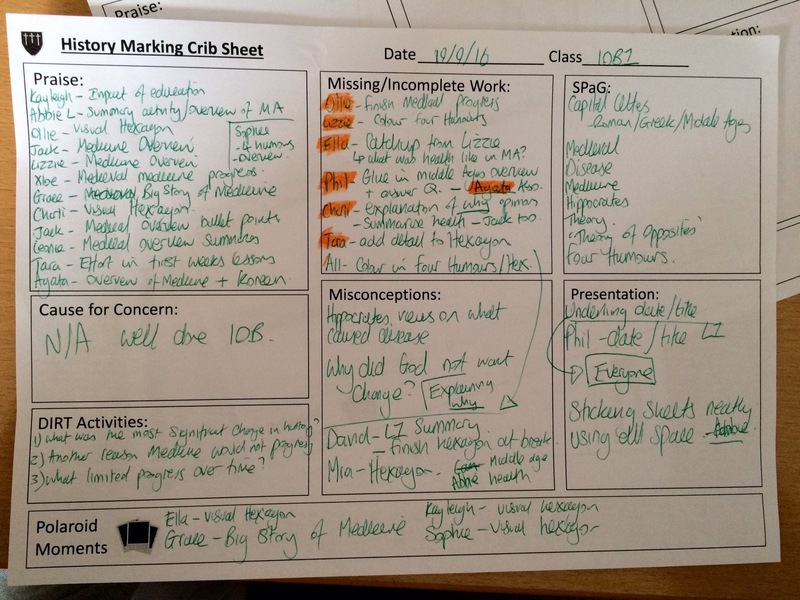 Week 1 – Prepare- How do you plan your lessons? If that’s what you’ve chosen to read this blog for, that silver bullet, then let me disappoint you now before you get much further. I’m doubtless any such thing exists where education is concerned. After all, it’s one of the most complex jobs in existence and I’m sure if I suggested to a heart surgeon that there was just one solution to each of the ailments her patients presented with, I’d be laughed out of the room. I’m aware that there will be a variety of educators reading this blog – from schools, colleges and other settings too. For those of you who teach on summative assessment heavy courses (such as BTEC qualifications), this blog is still for you. Whilst your final feedback on those courses must be criteria based, there are multiple opportunities for feedback before that point- as part of in-class activities designed to replicate the final assessments, as part of answers to questions students respond to verbally or in writing, as part of the feedback that can be provided whilst they’re working towards assignment hand-in, not neglecting of course the feedback once an assignment has been marked and submitted with what they can learn for future assessments. I first began experimentation into feedback in 2013 with A Level English groups after reading blogs by David Didau, Tom Sherrington and watching a video from Andy Lewis. This resulted in an extensive project I dubbed ‘Fabulous Feedback‘. The focus of the project was on getting students to be better at critiquing one another’s work. We’d always gone through the motions of peer feedback but more because I’d been told it was ‘good practice’ than because I knew how to make it meaningful. In choosing to embark upon the peer feedback project, I felt that if my students got better at peer feedback then they would benefit from reading a peer’s work and really understanding, closer to a teacher’s level, what made it a great piece and what needed to improve (thus being able to identify improvements required for their own work). I also hoped that it might result in students receiving more meaningful feedback in the moment thereby leading to more immediate learning and perhaps (fingers crossed!) less workload for me. The majority of these expectations were met. The remainder of this blog contains three golden nuggets I’ve been able to magpie from other educators over the years to enhance my own practice. As with anything else I share, not everything will suit everyone – please use your own professional discretion. What you don’t like, discard, what you’re intrigued by, try and what you love, adopt. Teachers at Michaela School have been sharing their approaches to teaching and whilst their approaches seem to cause a great deal of debate on Twitter, one approach that has certainly stuck for me is their ‘whole class feedback’ written about by Jo Facer. It manages to encompass many of the learning gains you’d like to achieve with feedback whilst also reducing workload. Whilst the above is all about reducing the teacher workload but still having maximum impact, these suggestions are all ways in which we can extend the impact feedback might have, especially written feedback. They relate to the student doing something with their feedback: reflecting on it, responding to it, acting on it. It’s important that feedback leads to learning, as what’s the point otherwise? Now, every time I engage with feedback, I consider how the students will engage with it in return. In my heady ‘Fabulous Feedback’ days, this even extended so far as them taking home sets of books to mark and reporting their findings back on a class rather than an individual level. How many times have you sat for hours writing feedback only for most of it to go ignored as they move onto the next thing? This leaves a gap in learning; a gap we must learn to close. This crib sheet from Tom Sherrington may prove useful to indicate how activities you currently engage in to provide feedback could be replaced by something with a higher level of impact instead. Click here to read more about these approaches. How feedback is received by a student is a significant factor in how much learning will take place as a result, whether we engage them in follow-up activity or not. The learning lost in a feedback session between a coach and a teacher who isn’t optimistic about his or her ability to improve at the classroom skill they are discussing. It follows for me that the same might be lost for a student during feedback. Let’s remind ourselves at this point that when providing feedback, we do not need to consider whether a student has a fixed or growth mindset as we are not one or the other. Our mindset changes depending on the activity we’re presented with or the skill we’re asked to demonstrate. When we’re in a fixed state of mind, we believe that our ability is fixed and there’s little we can do to change it. When we’re in a growth state of mind of then we believe we can, given time and effort, change how good we are at something. An individual’s mindset is not an overall disposition therefore we need to consider growth mindset more often than not, and always consider the language we use when we present feedback to students, whether verbal or written. These are just some suggested phrases that can be used dependent on the scenario and student we’re working with. Why not try using one of these phrases instead of something you might ordinarily say and see what impact it has on students’ motivation and confidence? If all of those tips weren’t enough for you and you’re left feeling keen to extend your learning then browse through some of the links I shared at the start of this blog (click here) or watch one of these videos from some of our Cornerstones’ champions- Doug Lemov, John Hattie and Dylan Wiliam.